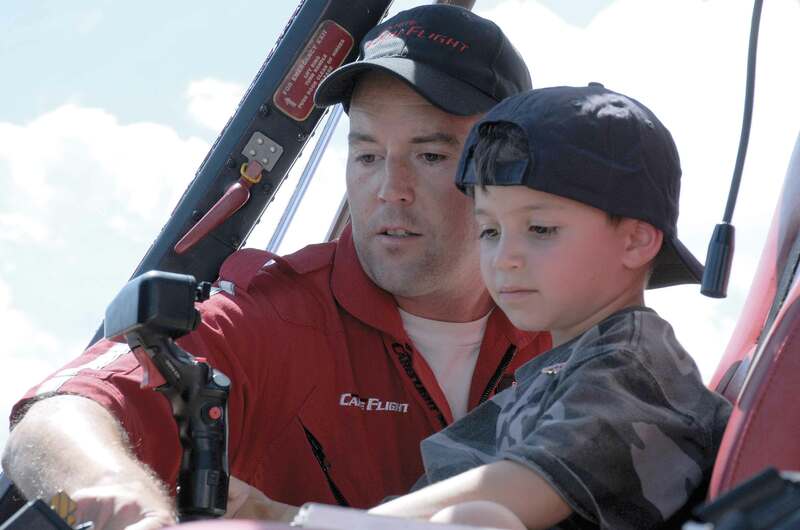 Having TriState CareFlight based at Sierra Vista Hospital means so many different things to various people in our community, but to 6-year-old Cason Baca Clark of TorC, the medical helicopter company and staff means family. On April 25, 2015, Cason’s father, James Baca, sustained life-threatening stab wounds to his chest while trying to protect a female friend. Baca was flown by CareFlight to a trauma center in El Paso. Since that near fatal date, three other family members have had to receive treatment of severe injuries or illness from Sierra Vista Hospital as well. One would think that a boy of Cason’s age would not understand the situations. However, young Cason was so thankful for the actions of all the personnel at Sierra Vista Hospital, SVH EMS and TriState CareFlight that he wanted to do something to show his gratitude.